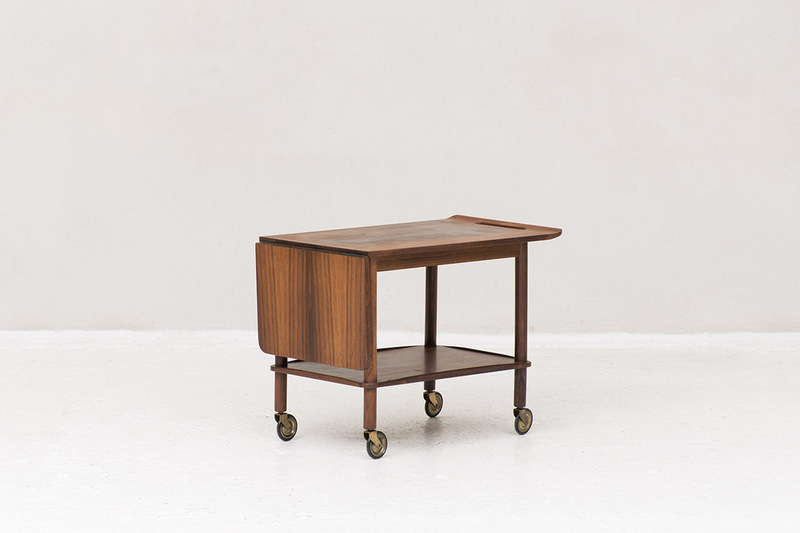 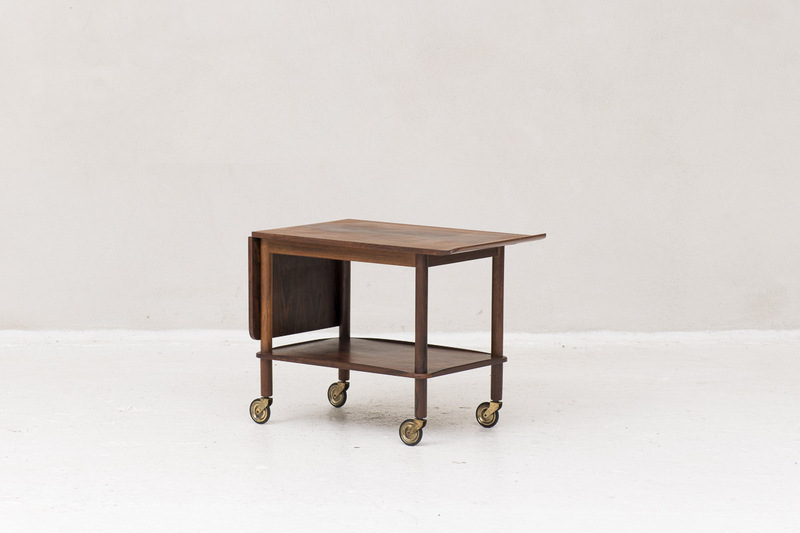 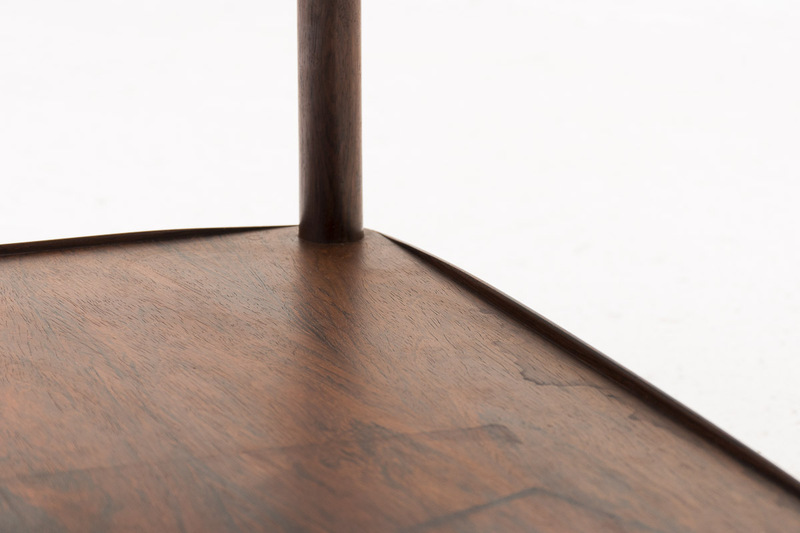 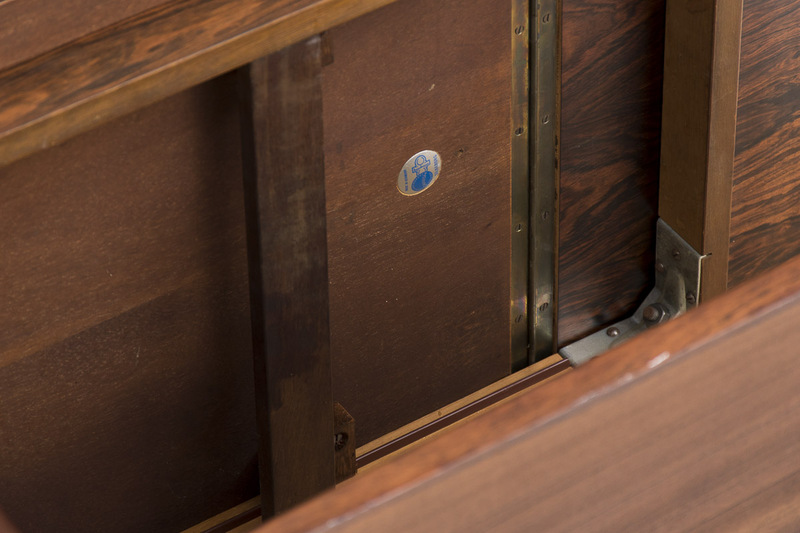 Serving trolley designed by Johannes Andersen and produced by CFC Silkeborg, Denmark 1960’s. 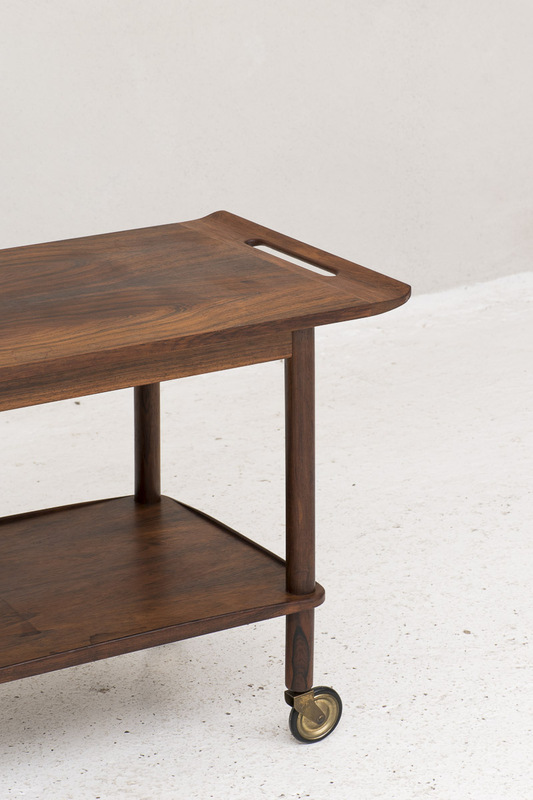 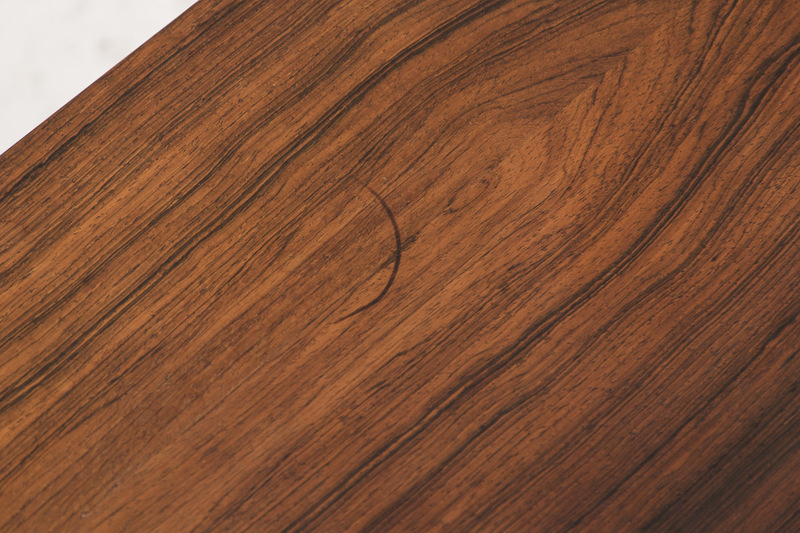 Johannes Andersen is renowned for his organic work. 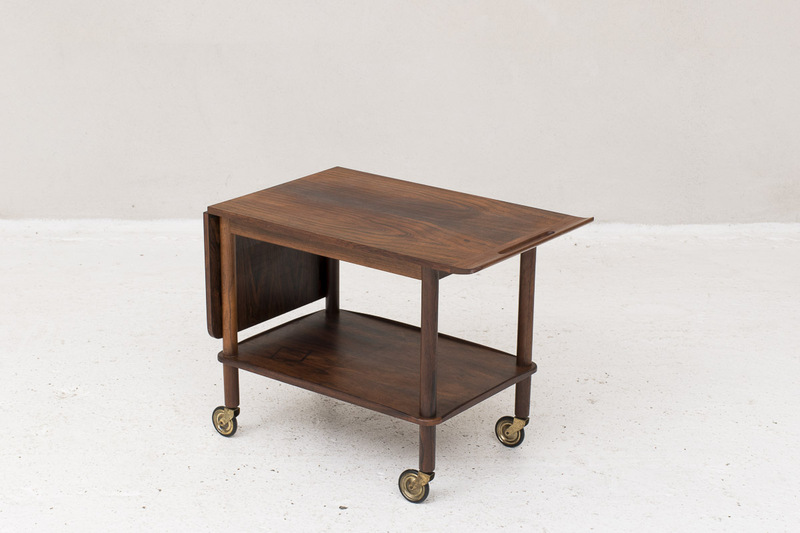 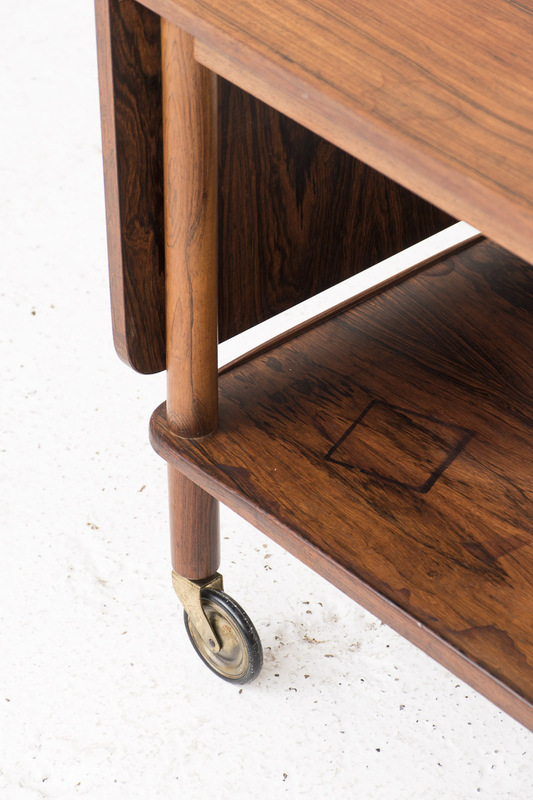 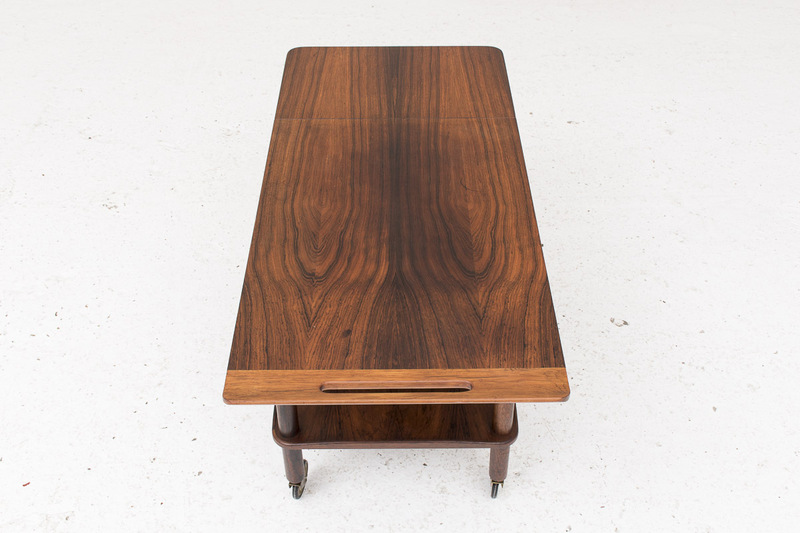 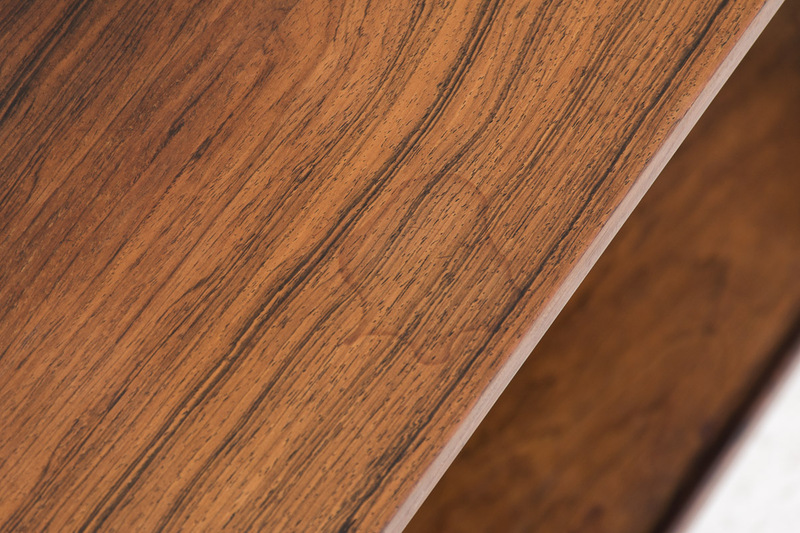 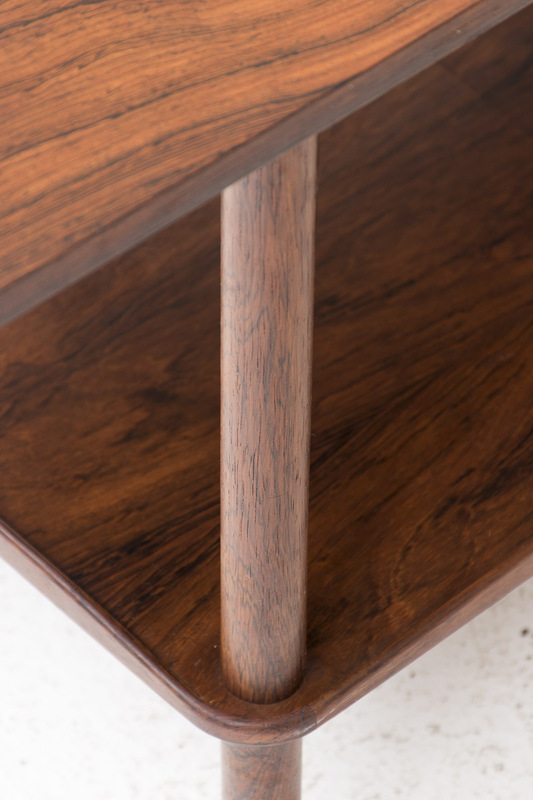 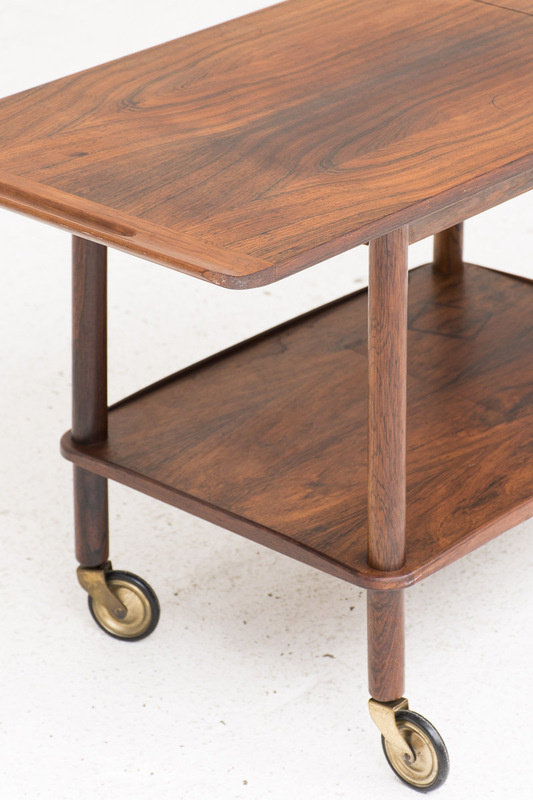 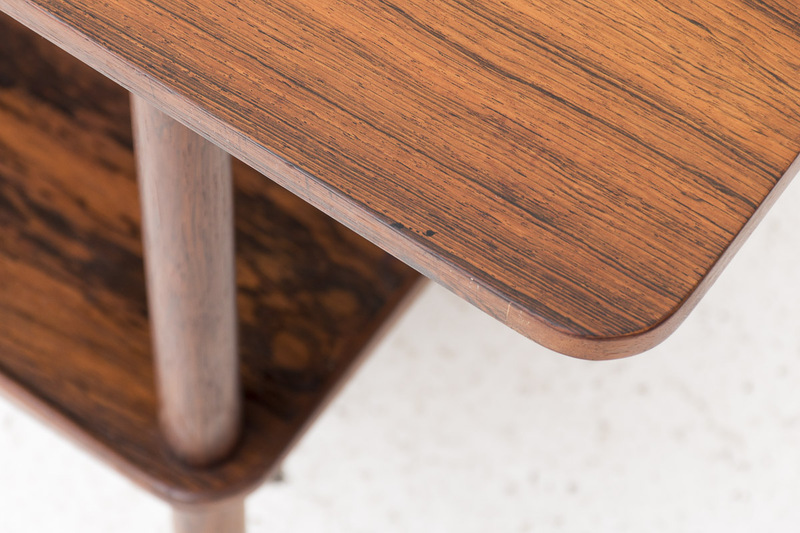 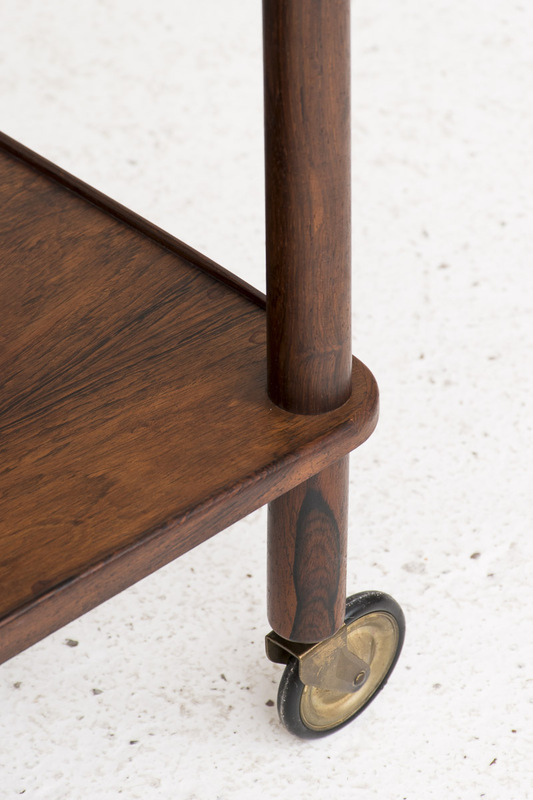 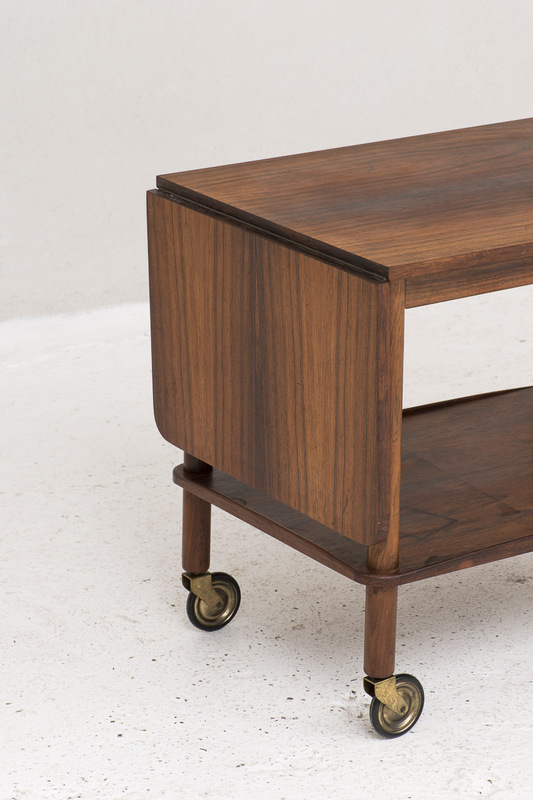 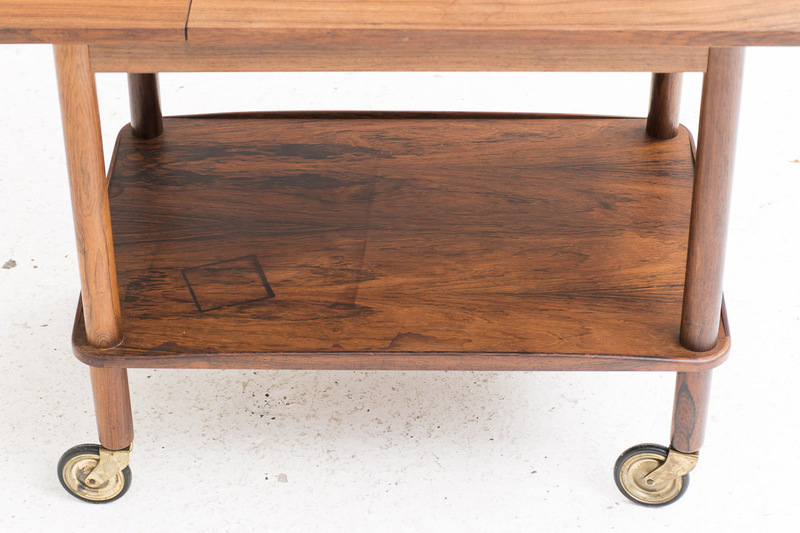 This trolley has a drop leaf table top in rosewood with brass wheels on the bottom. 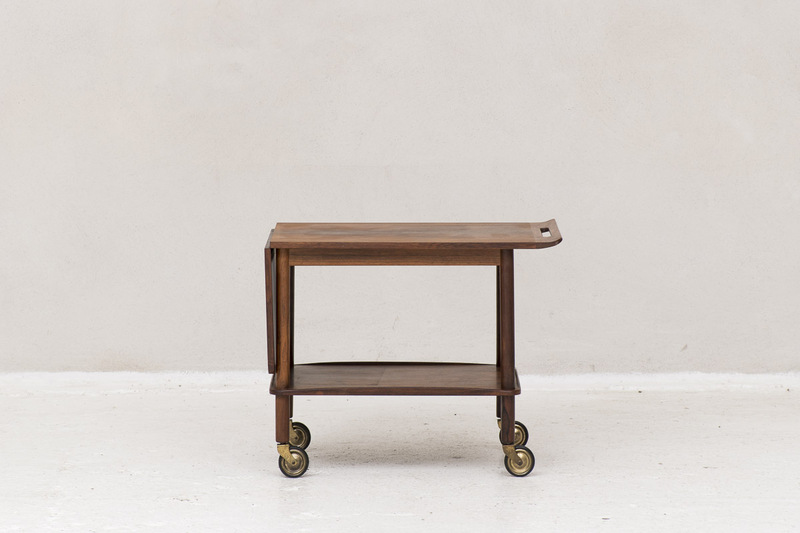 This serving cart would look even better with a porcelain tea set or a bottle of vintage single malt on it. 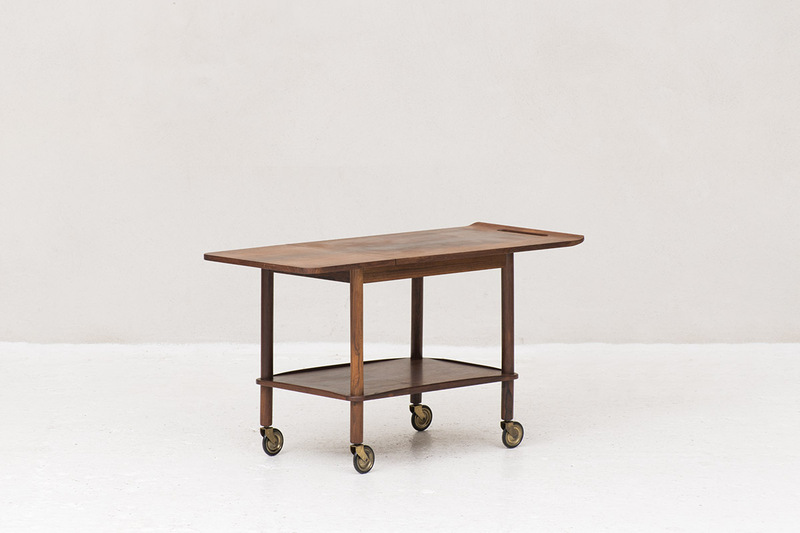 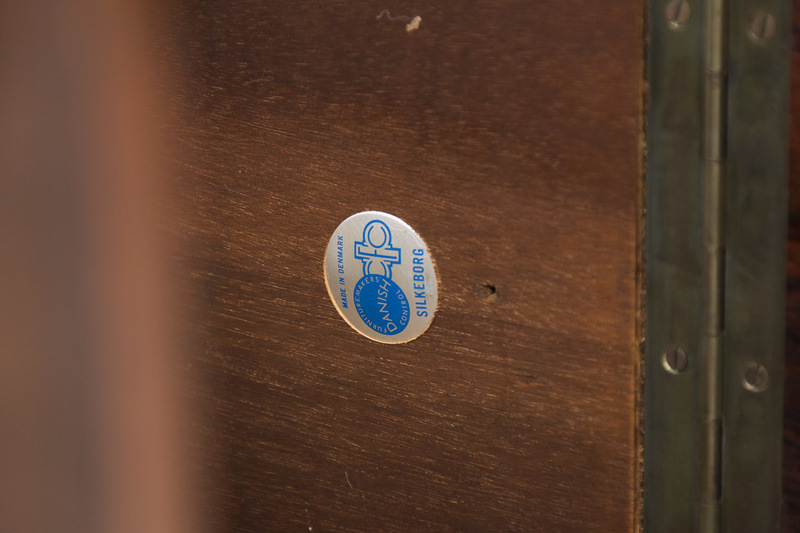 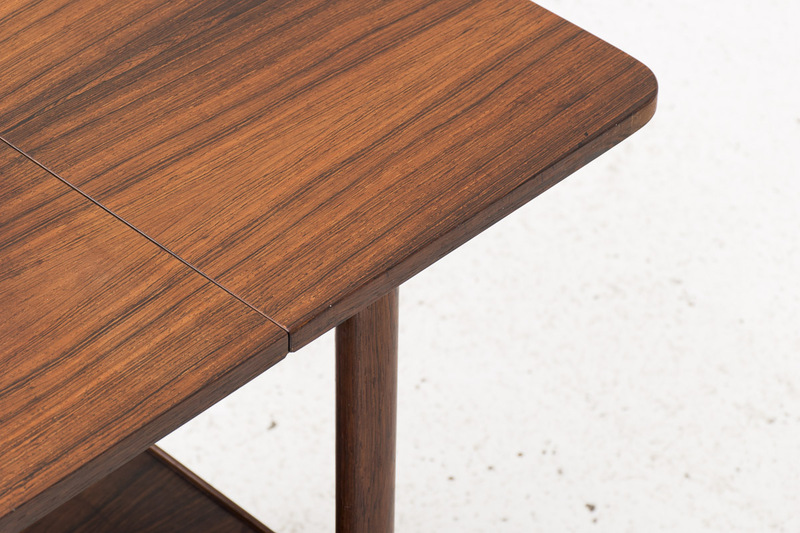 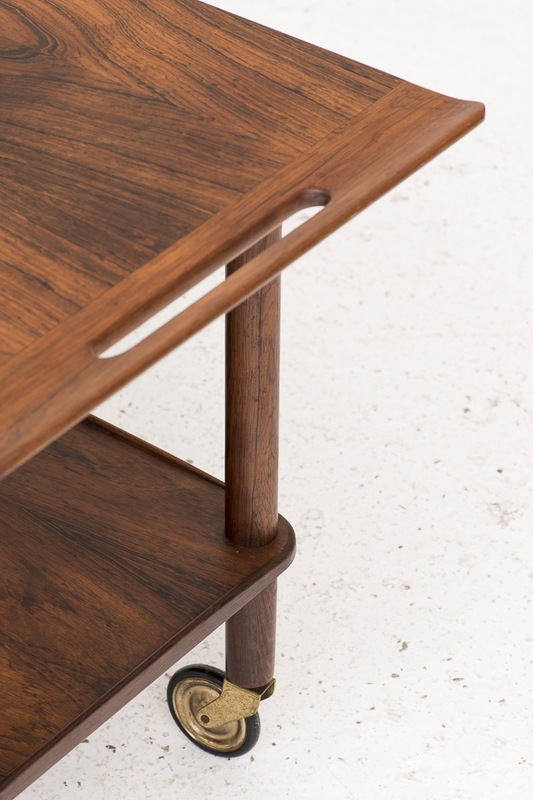 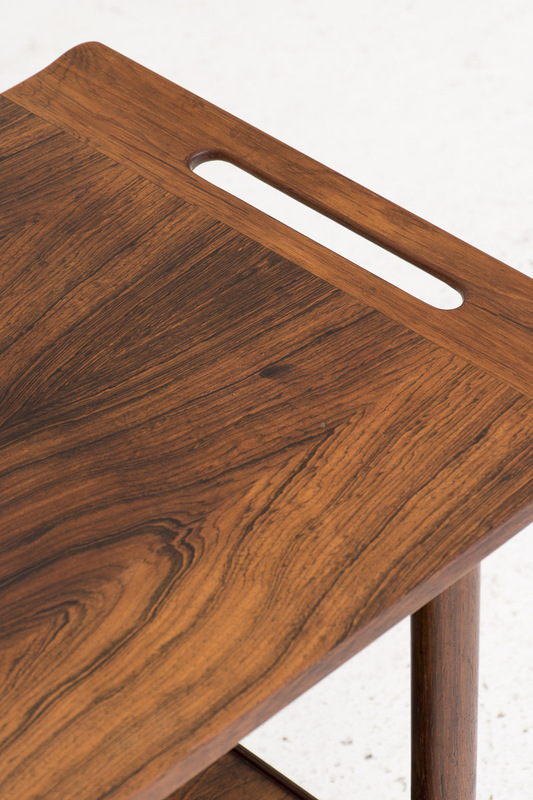 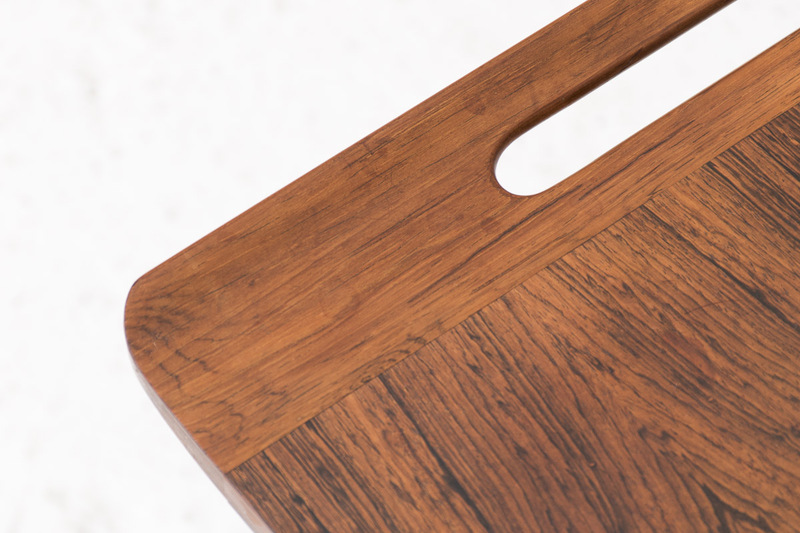 The trolley carries the Danish Furniturmakers’ quality label and the CFC Silkeborg brand. 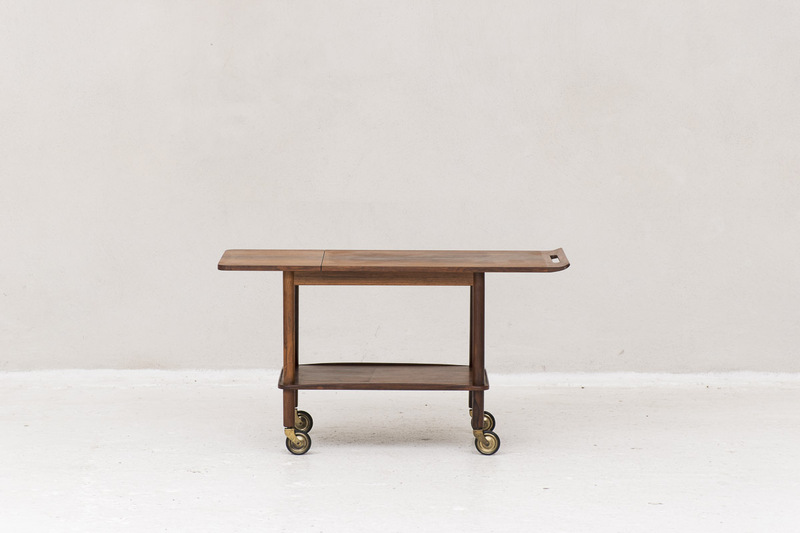 Good condition, wear consistant with age and use.